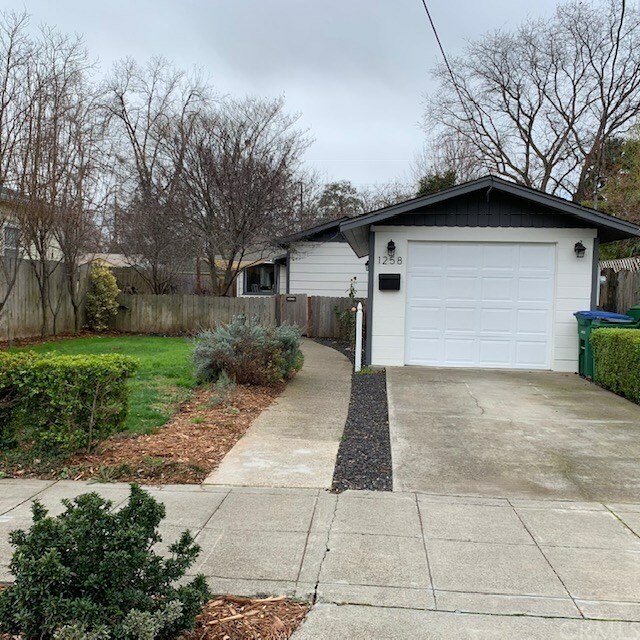 This darling Chico charmer has been beautifully remodeled and is just one mile from Chico State and downtown. The kitchen has new stainless steel appliances, tile counter tops, pendant lighting and tasteful open shelving. Both bathrooms have been updated and there is inside laundry with lots of storage. This home has all new electrical wiring, new insulation, new doors, new baseboards, recessed lighting, ceiling fans, laminate wood floors throughout, new light fixtures, new HVAC, dual pane windows, fresh paint inside & out and a tank less water heater. Good sized lot with detached garage, front & backyard decks, in ground sprinklers and new landscaping. This home is a doll house.....must see!!! Directions: From Broadway, right to W. 11th, left to Normal Ave.